Last week my little sister visited me from Finland. One of my secret knitting projects of recent weeks was this 3S scarf which I knitted for her birthday. She really liked it, which of course made me very happy. And the teal colour suited her perfectly. The scarf was originally going to be an Ishbel, the pattern that topped the popularity charts in Ravelry some time ago. It’s a pattern that hundreds, if not thousands of people have managed to knit, but not me. I just kept making mistakes and constantly had to unravel my work. 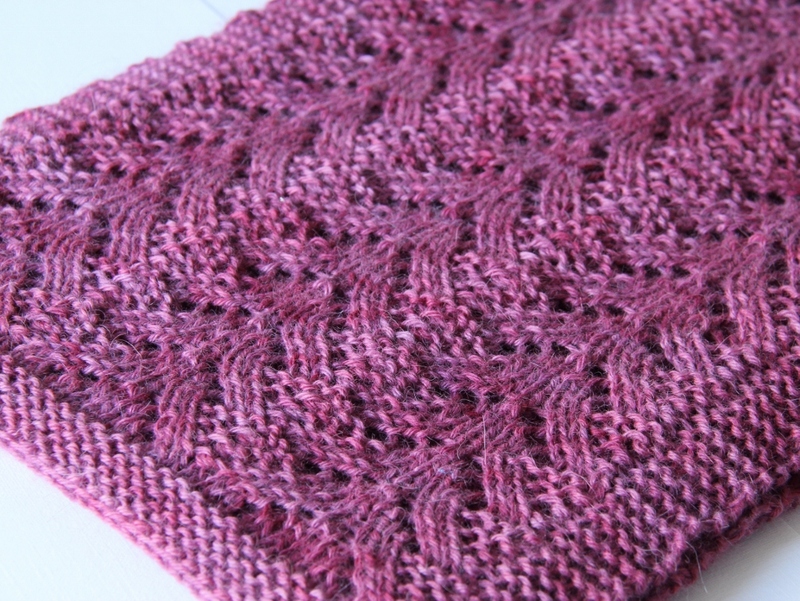 Most of the time I’m just too absent minded to knit lace. With hindsight it wasn’t a good idea to try to change the size, so it’s quite possible my maths just wasn’t right when I started the lace bit. 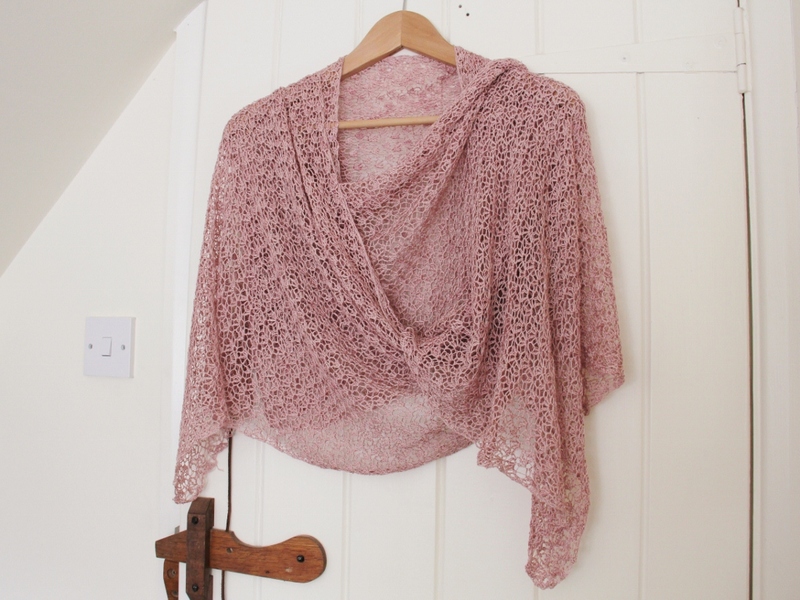 The pattern gives you two sizes, with not much help for trying to knit it in a different size. I just kept having extra stitches I didn’t know what to do with. Well whatever the reason, I just wasn’t getting anywhere. My sister’s birthday was back in February and still she hadn’t received her present. So I decided to find an easier pattern, and 3S seemed perfect because it’s super-easy and can be knit in any size you want. Knitting was fun again rather than a frustrating chore. Although last month was the wettest June for 100 years, during her visit the sun shone pretty much all the time. We ended up spending three days sitting in the garden, just knitting, with a cup of coffee in the mornings and a glass of wine in the afternoon. I did ask her to tell me if she actually wanted to do something, but she had been bitten by the knitting bug (it does happen in my house…) and seemed perfectly content just to sit, enjoy the sun and knit. And very pleasant it was indeed. 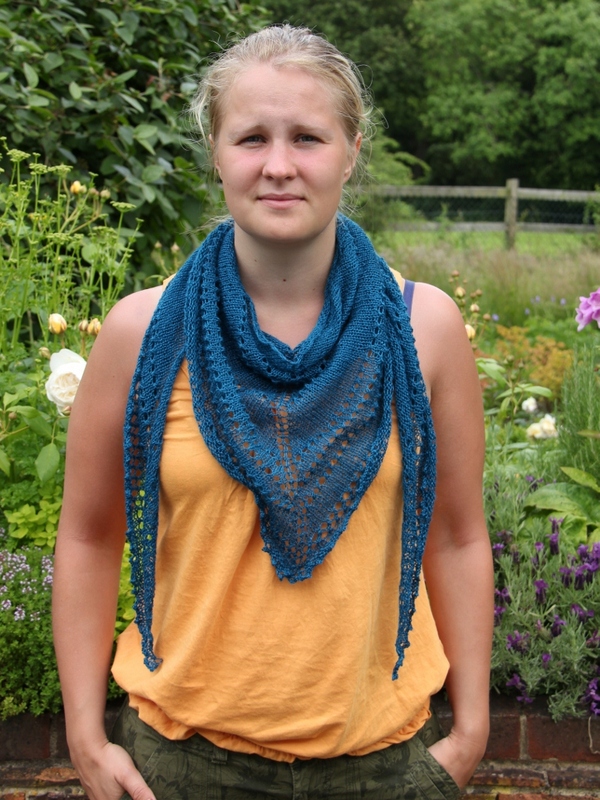 Categories: Knitting, Scarves | Tags: 3S scarf, fyberspates scrumptious lace, knitting | Permalink. 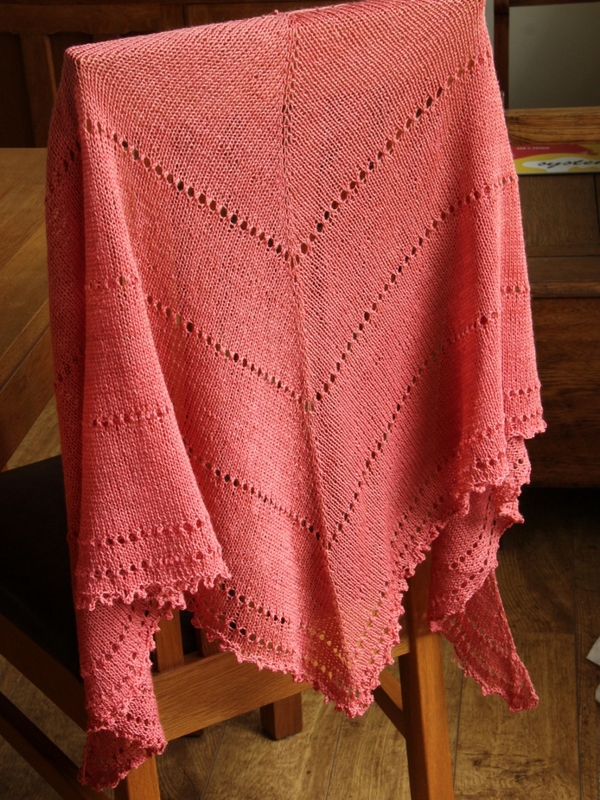 My Parasol stole, which I started last summer, has finally been finished and blocked. I had intended to wear it at a wedding which I went to back in August but as I started it two weeks before the event, I just couldn’t finish it on time. And then soon after that I had to abandon it and start knitting various birthday gifts and Christmas presents. I only got back to it after the Christmas rush and now it is finally done. But after all that, I am really pleased with it. I knitted it quite a bit longer than the instructions recommended, mainly because I wanted to be able to wrap it around my shoulders. 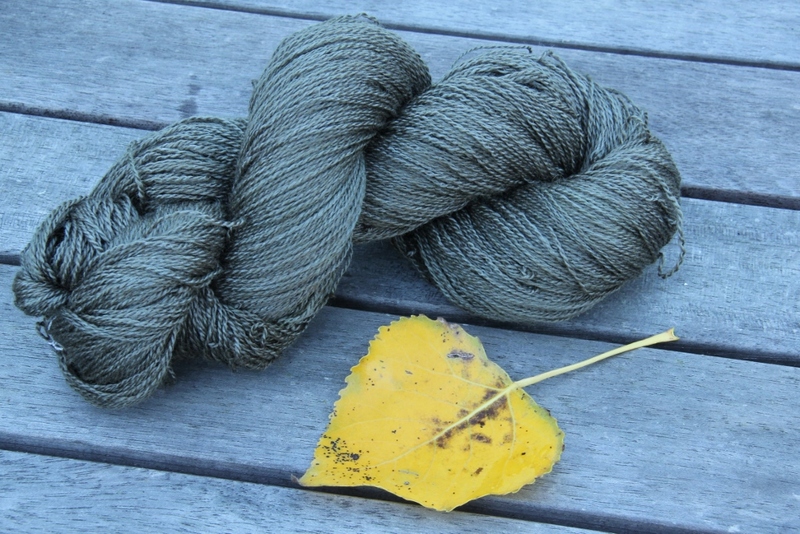 Nevertheless, it only took two skeins of Alice sock yarn by Juno (the colour is French Gray). 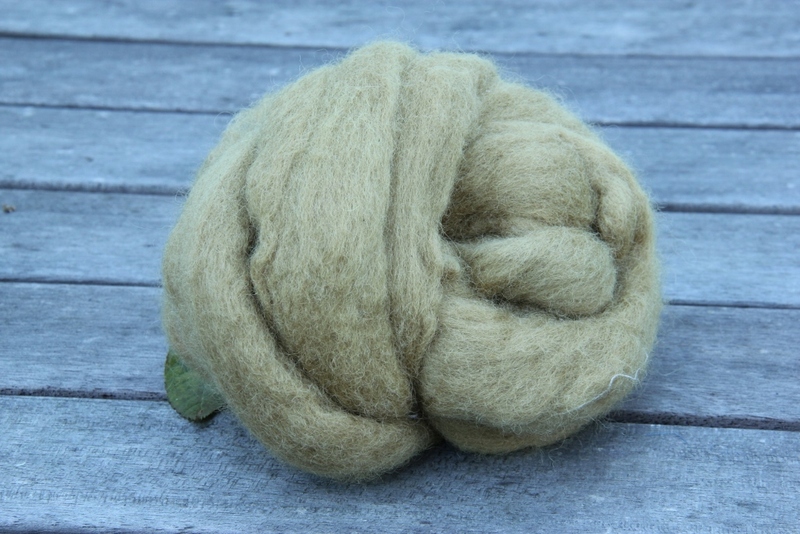 It’s a lovely yarn with all sorts of gorgeous luxury fibers in it. 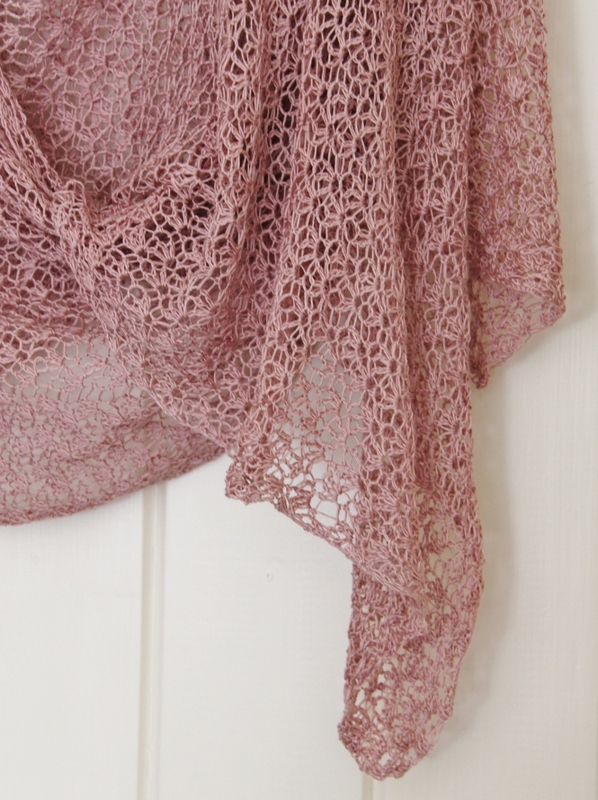 I think it’s far too delicate for socks, but it’s ideal for shawls and scarves. I chose sock yarn weight rather than lace weight yarn because I wanted to make sure I would be warm enough in a sleeveless dress (I hate having cold shoulders!). 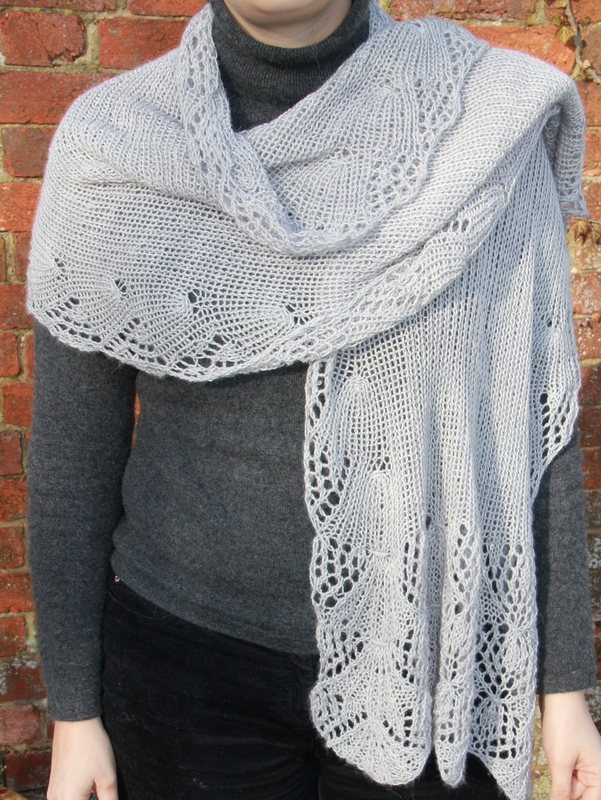 I thought the pattern was great and I can see myself using it again (find it on Ravelry here). It’s lacy and feminine but not too frilly because of the ribbing in the middle. 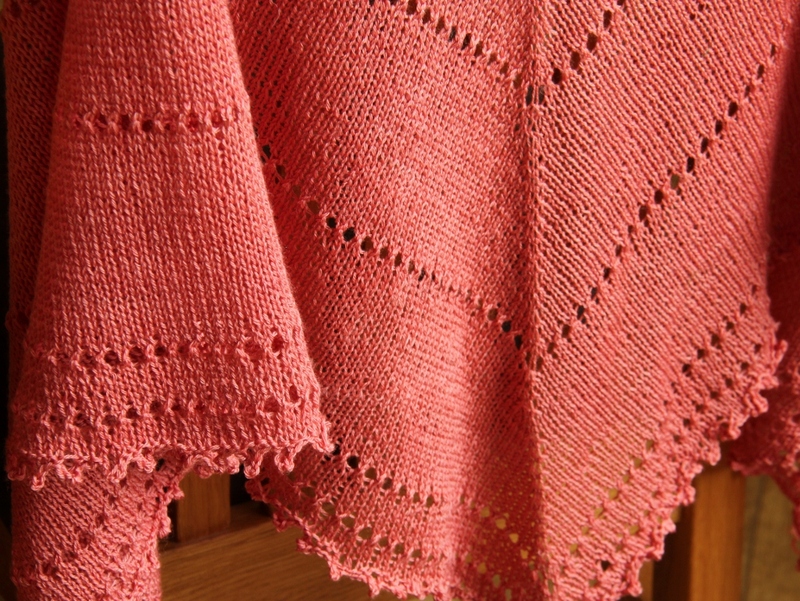 And the ribbing made it faster and easier to knit – I don’t have the brain power and concentration to knit lace while watching tv or listening to something but the ribbing meant that the main part was not too complicated. It also helps the drape, the stole stays on the shoulders really well and doesn’t slide off. 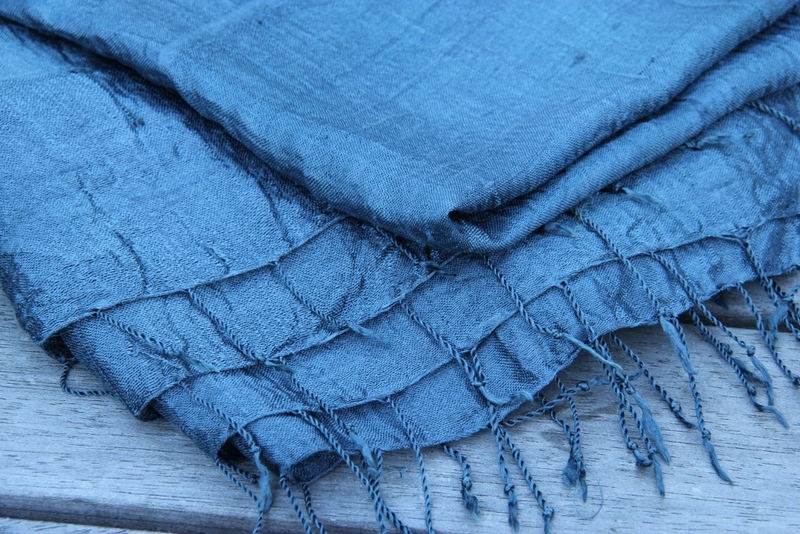 So all in all, it’s a really useful shawl to have, and an ideal one to go with party dresses. Categories: Knitting, Scarves | Tags: Juno Alice sock yarn in French Gray, knitting lace, Parasol Stole | Permalink. While we’re still on the subject of what I knitted for Christmas; here’s a scarf I knitted for my sister-in-law, the one who received the Bramble beret for her birthday in November. The scarf is knitted using the same yarn as the beret, Misti Alpaca’s Best of Nature Worsted, which is a truly gorgeous yarn, incredibly soft in an alpaca-sort of way, a real pleasure to knit with. The Bramble beret pattern unfortunately did not come with a matching scarf. I could have taken the pattern and adapted it, but in the end I decided if I did that the scarf would not have been ready for Christmas so I just went with a lace pattern I found in one of my knitting books. 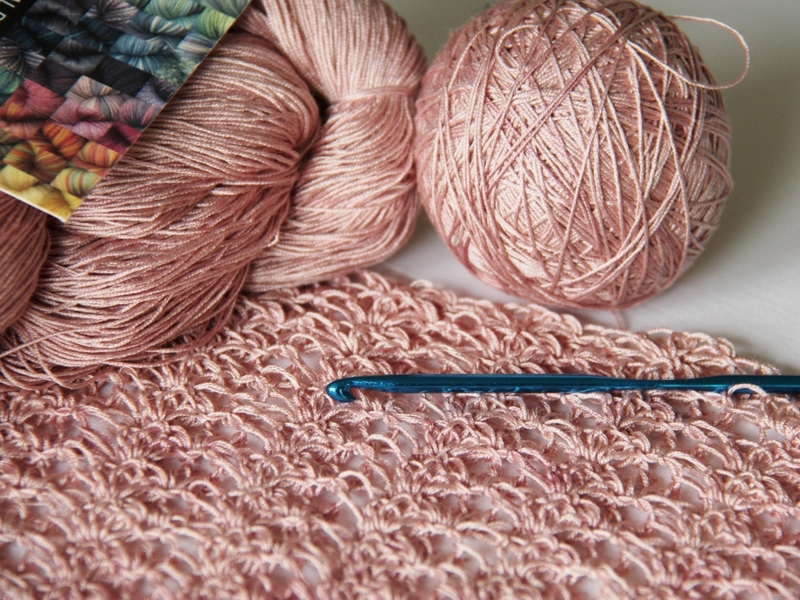 The Fir Tree pattern is a simple enough lace pattern that worked pretty well on a long scarf, giving it a nice texture and bringing out the different colour tones in the yarn. My sister-in-law really loved her present, she sent me a lovely thank you note for it. It’s always great to knit things for such appreciative people, isn’t it? Categories: Knitting, Scarves | Tags: Best of Nature Worsted colourway Napa, fir tree lace pattern, lace knitting, Misti Alpaca, scarf | Permalink.